Have you ever heard the expression “you are what you eat”? I think a parallel phrase for flutists should read “your breath is your tone”, meaning the type of breath you take directly impacts your overall flute tone. As the New Year starts off I would like to propose a resolution to take some time to focus on one of the most important fundamentals of flute playing, the “breath.” This following paragraphs give a few easy ways that I have found to help me focus on my own breathing while practicing. One simple way to incorporate breath awareness in your everyday practice is to write in all your breaths. This exercise may seem mundane but as long as you do not do not write in your breaths randomly or without much thought, this practice will bring attention to how frequently you are breathing and whether your breathing is working well with your phrasing. I find it is best to mark in breaths by singing through the phrases instead of playing them on the flute. Your natural phrasing instincts will take over as they are not hindered or influenced by how it feels to play them on the flute. When you sing the phrases make sure you are releasing the notes before the breath musically and not clipping the notes. Also pay attention to the dynamic you are singing right before the breath and right after the breath and be conscious about whether you are trying to retain the same dynamic or change it. Sometimes you will need to take many quick breaths (as in Baroque music) to make a passage playable. However, make sure that these breaths are done musically and do not take up time rhythmically. When you then play these phrases on the flute, you will have a fresh perspective on your repertoire! When you are focusing on your breathing it is important not only important to address where you are breathing in the music but also the quality of your breath. For example, is your breath giving you enough air to work with, are you free of tension when you breathe, and is your breath unobtrusive to the phrase you are creating? I am often surprised to find how students make breathing while playing the flute complicated. When I teach, I do a lot of breathing exercises without the flute to remind the students that they already know how to breathe; when they put the flute to their mouths they are unaware how much they change their natural habits. One easy way to compare your natural breathing to your flute breathing is to inhale through your nose and then play off that air. As flutists we are trained to not breathe through our noses as it is counterintuitive to our sound production. However, I believe we breathe more naturally through our noses. Ideally, we want to make our breath through our mouths feel the same as when we breathe with our nose. When you breathe through your nose, feel how easy it is to fill from the bottom of your lungs without getting tense in the shoulders and neck. Try and recreate that feeling when you breathe in through your mouth. Also compare your flute tone when you breathe through your nose compared to when you breathe through your mouth. If you notice that your nose breath tone is more open and full, keep working on your mouth breath until it feels and sounds the same. One aspect of breathing that I recently began addressing in my own playing is tongue position. If you thought you only needed to think about your tongue when you are articulating I challenge you to think again. A tongue position that can cause issues in breathing is to push the tongue down too much in the back of the mouth causing the throat to open too wide when you breathe. This position results in a tone that sounds too far back in your mouth and that has difficulty projecting. 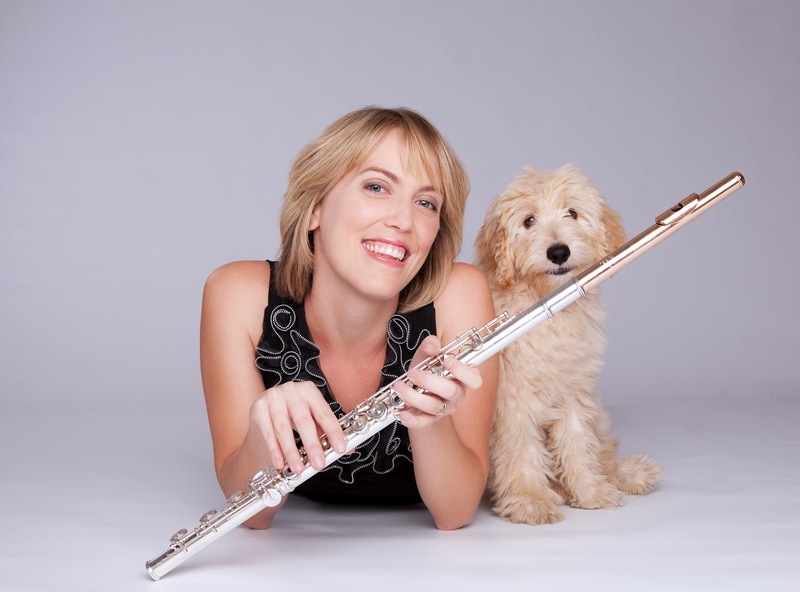 Another way the tongue can interfere with a good breath is when it raises inside the mouth in the attempt to aid the flutist in getting more air in quickly. If you breathe in this way, you will notice that when your mouth opens to breathe, your tongue will rise to the middle of your mouth in the attempt to aid in getting more air in quickly. Breathing with this type of tongue position is often noisy and results in a slow response of the tone following the breath. Ideally your tongue should just stay in its relaxed and down position at the base of your mouth when you breathe; there should be no extra tension or motion associated with your tongue when you breathe. You will be amazed how much easier it is to breathe when you focus on your tongue and its position when you take your next breath. 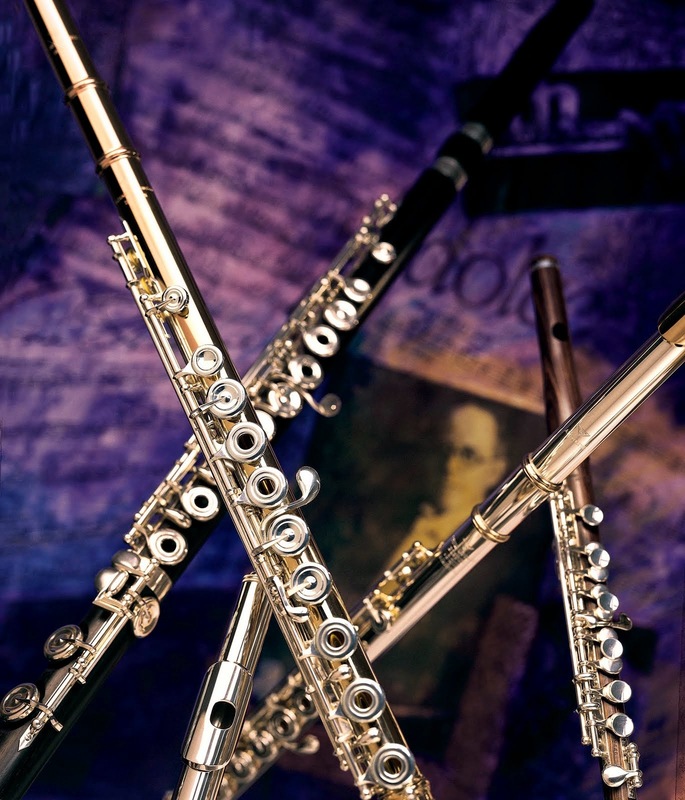 As a flutist I find myself incredibly grateful that I have to breathe in order to play my instrument and I find that this makes playing our instrument more organic. I hope that the few tips I offered above help you to focus on your breath when you are playing. Also do not forget that focusing on your breathing in your every day life is also invaluable. As the New Year starts up again see if you are able to apply your breath awareness to when you are working, studying for exams, or on your daily commute. Take one “quality” breath at a time!